Your colleagues can be added as a contributor to your Event App on the App Dashboard. Contributors can assist you by buidling and adding content to your events. To add contributor, select the 'Add' button on the lower left corner of your event dashboard. Invite colleagues as contributors by adding their email address and selecting the 'Add' button. 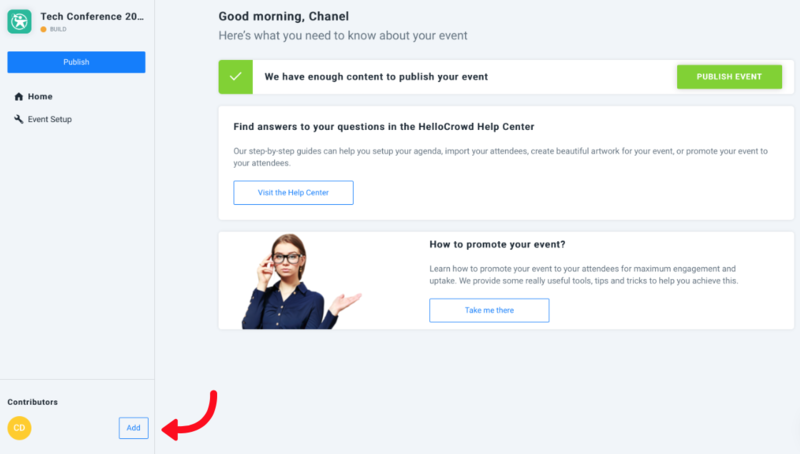 Once added, your colleagues will receive an invite via email to join your Event App.